Apple fixed Helvetica for screens with San Francisco (in Display, Text, Compact, and UI versions). Monotype responds to San Francisco Pro with Helvetica Now (in Display, Text, and Micro versions). Related: Public Sans is a free typeface developed by the United States Web Design System. Hey, who knew we had a web design system? In San Francisco, homes labeled “fixer-uppers” sold at an average of 15 percent above the list price in 2016, with a median sale price of $920,000, according to a new year-end report from Paragon Real Estate. Though the price is high, it is a substantial discount from the 2016 median sales price of all S.F. single-families: $1,325,000. Paragon looked at several other “special circumstances” in 2016 home sales, including the median home price for a home wth an elevator ($4,869,000), a view of the Golden Gate Bridge ($2,569,000) and a wine cellar ($3,050,000). It also looked at factors that could lower home prices, including a lack of parking ($1,150,000) and probate sales ($952,500). The only factor that lowered prices more than the “fixer-upper” designation was marketing a home as “tenant-occupied,” which sold at “a big discount” of $838,000, due to tenant protection measures, among other things, according to Paragon. The real estate market in San Francisco, where I live, has been insane for quite some time now. 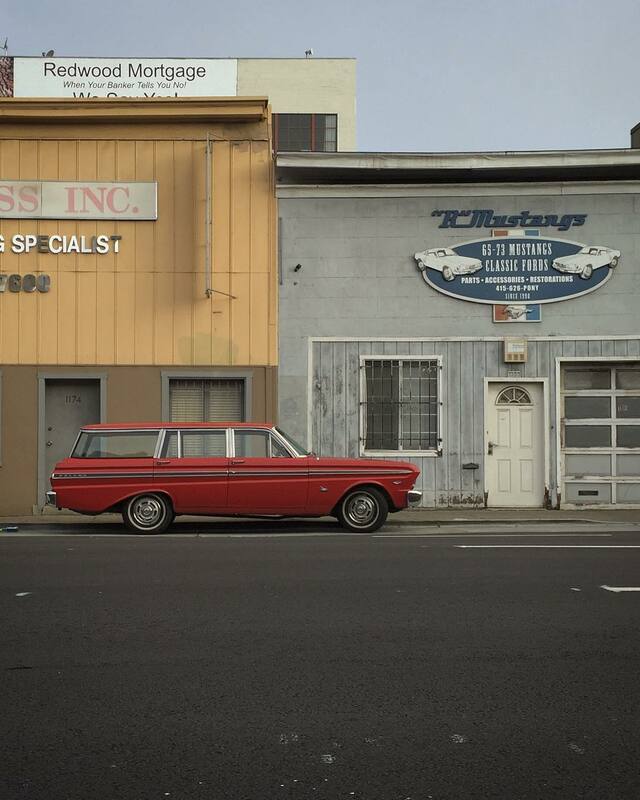 NY to SF in 5 minutes shot entirely on an iPhone 6+ by Tom Harman. You know when you’re fading off at work because you’re tired? If you’re like me, you don’t have any safe, comfortable place to go to take a disco nap so you can power through the rest of your day. If you work in downtown SF like me, now you do. My friend (and former coworker) Brandon quit his job and launched his own business here in San Francisco called Doze. When your time is up, the interior of the pod ‘dome’ slowly glows brighter and brighter and returns you to an upright position. I test drove one myself and it was great. Oh, and the first time is free. I’m really proud of Brandon because he did this all on his own without any investors or backers. It all came out of his own pocket. That takes balls. I also love that he’s he solving a problem he’s had himself. Those are always make the best projects and businesses. But for cities like San Francisco that now have 35 years of growth behind them, the urban problems of today are utterly different from what they were a generation or two ago. Instead of disinvestment, blight and stagnation, we are dealing with the problems of rapid change and the stresses of growth: congestion and, most especially, high housing costs. When more people want to live in a city, it drives up the cost of housing—unless a commensurate amount of places to live are added. By the early 1990s it was clear that San Francisco had a fateful choice to make: Reverse course on its development attitudes, or watch America’s rekindled desire for city life overwhelm the openness and diversity that had made the city so special. Things have to change. San Francisco is a port city. Prime real estate. Barring an earthquake that swallows the city (actually likely) people are not moving out.